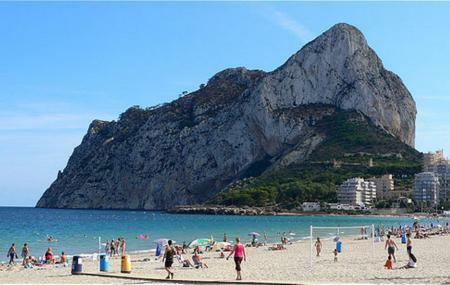 Mount Benacantil is a hill dominating the Alicante skyline and offers itself as the iconic image of this region. On it are a lot of pine and eucalyptus trees due to which locals call the hill the green lung of the city! It is said that this lush hill area supplies the oxygen needed by the denizens of Alicante! The hill is known for the rock formations on its south-western slope. These formations are known as la cara del moro, meaning the moor’s face. As you climb up, you will also get to see the stunning medieval Santa Barbara Castle, situated on the top of the mount. The top strategically overlooks the Mediterranean Sea making it one of the most coveted destinations for capturing photographs. For hikers, the Mount Benacantil is a must visit. How popular is Mount Benacantil? People normally club together Ayuntamiento De Alicante Or Town Hall and Santa Barbara Castle while planning their visit to Mount Benacantil. Great place to visit and see all the city!